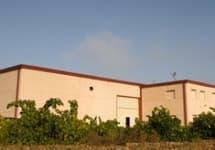 Las Brisas emerges from the origins of Naia, with a Verdejo baseline but with an international character. It is a multivarietal wine designed from the vineyard with the aim of capturing the interest of the more international tastes. With a base of herbs and balsamic notes from the Verdejo variety, it also has the subtle nuances of white fruit (pear and pineapple) from the Viura variety, which is also traditional in the region of Rueda, and an exotic touch provided by the Sauvignon blanc.